We welcome you to Chen Chinese Restaurants at our two locations, Crystal Lake and Lake In The Hills, for a contemporary Asian dining experience. Our restaurants provide a casual and modern dine-in experience, featuring a delicious selection of Chinese dishes, including the Chicago region's best egg rolls, salads and wraps, a variety of flavorful soups, and carefully prepared beef, chicken and duck, pork, and seafood dishes. Enjoy our assorted fried rice, chop suey, and egg foo young dishes. We offer lunch specials daily from 11am to 3pm. 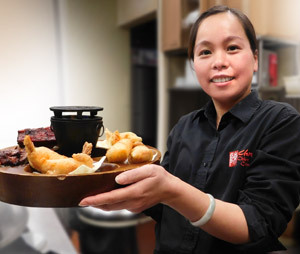 Chen Chinese Cuisine offers a full carry-out menu, as well as delivery and catering services — call our Crystal Lake restaurant at (815) 356-8899 or our Lake In The Hills restaurant at (847) 458-8000 for more information.